Louise and Robin from Miss Prims were welcomed with open arms after a recent visit to Clonlee for a Pamper Day. 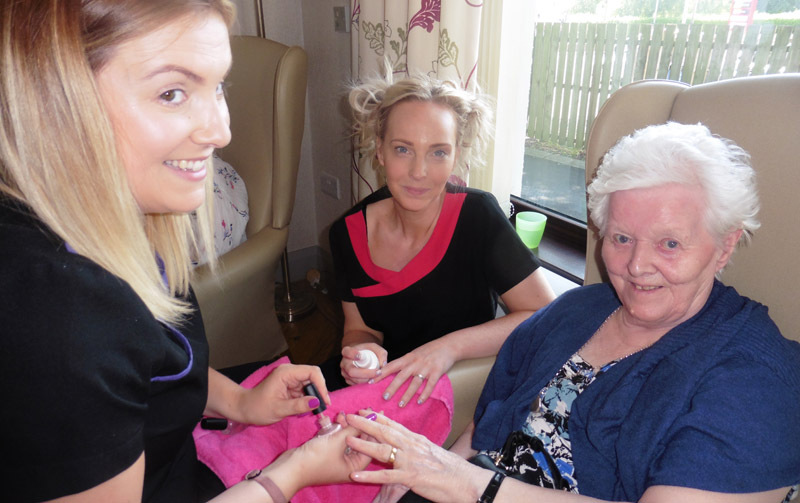 The residents were delighted to have the best of beauty treatment when Louise and Robin called in to pamper everyone – it was’ me next please’ from everyone and smiles all around. There is nothing like a wee bit of pampering to make anyone feel special. Gladys and Mary said it was a very pleasant and enjoyable afternoon and thanked Louise and Robin from all their professional work. Come back very soon girls!